One of the first PR disasters in history that succeeded in going viral took place almost a decade ago. The whole thing started in 2008 when United Airlines’ baggage handlers broke the guitar of a little-known musician named Dave Carroll. Thanks to Dave’s patience (and United’s poor customer service) the incident didn’t achieve notoriety up until 2009, when Carroll decided to switch his Mr. Nice Guy approach for a different one, writing a song about his experience and uploading it to YouTube. Carroll’s song, titled ‘United breaks guitars’, became an instant hit on YouTube, and the rest is history. A month after the release of the song, a few million people in the world knew that United wasn’t appropriately handling their passenger’s luggage. It is likely that several thousand passengers ended up choosing a different company after watching the video. United’s YouTube channel has been active since 2006, and since then it managed to amass a total of 10 million views, give or take. Combined, the ‘Passenger Video’ and Dave Carroll’s song have obtained 21+ million views on YouTube. Two videos (one with zero production value), double the views. And this is without taking into account the ink and airtime received by both incidents. The key question here is: how do you manage a client like United? Truth be told, airlines are among the most difficult clients a PR agency can work with: flying passengers around the world is a technically demanding, capital-intensive line of work. On top of this, flying is not the most pleasant thing in the world, with stress being the norm rather than the exception. Nevertheless, United forgot one of the basic rules of PR: disasters can come in all forms, but always fall within one of the next categories -they are either avoidable or unavoidable. An unavoidable PR disaster has the power of destroying a company, but it’s unavoidable for two reasons: unpredictability and overwhelming circumstances. For example, let’s imagine that a meteorite crashes the plane carrying a loved, popular personality. Such incident will definitely hurt the company in charge of flying the plane, but there’s really not much anyone can do against a meteorite coming out of the blue. 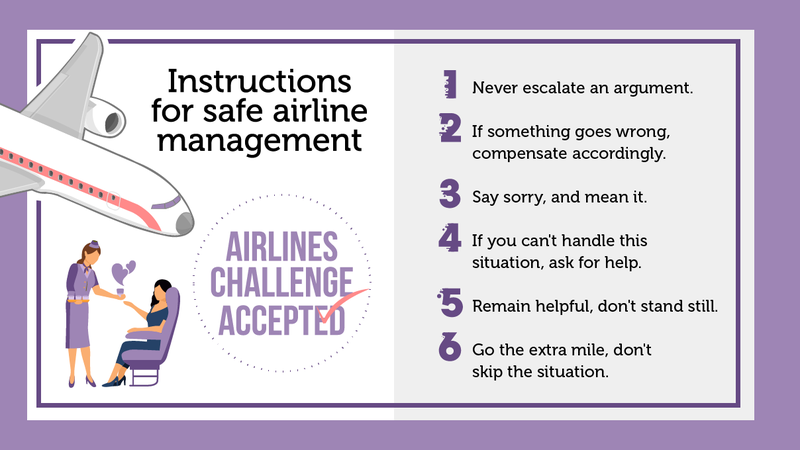 On the other hand, the avoidable disasters – handlers breaking guitars, a passenger being forced out of the plane due to a company’s administrative error – are the ones that should not be happening in the first place. In such cases, it is a PR agency’s job to identify, evaluate and recommend the standard procedures for every possible situation that might end up becoming a disaster. It’s a demanding job, but there’s a simple way to look at it: great standards and top quality control usually end up costing less than smallest of PR disasters.